Mitchell Trubisky could’ve played if they really wanted to push it…but they got cute/played it safe (maybe, rightfully so) and went with Chase Daniel again. Why? (1) They should be able to beat NYG with Daniel at QB. (2) The ever-loving ‘he knows the playbook so well’. Good gravy…how many NFL head coaches have had their careers ruined by placing ‘knows the playbook’ over ‘actual talent’ looking for a QB? What was that play called…you know…what is it…the one where Daniel threw a pick six on the very first play of the game? He really KNEW that play like the back of his hand. Despite the charity 7 points to start…the Bears took the lead by halftime (14-10), and all seemed well. Then the Giants ruled the 3rd quarter…jumping out to a 24-14 lead. The Bears were down 10 with 1:49 left. They raced down the field and had a decision of whether to kick a field goal or just go for a short score on 4th-down. You know…that situation where you need two scores, so you take the ‘three’ first and then go for the onside kick and then if you’re lucky enough to recover than you have no timeouts and need to score a TD just to tie…you know…that situation that never works. Well, it worked here. Chicago scored on a 1-yard TD pass (from Tarik Cohen no less) with no time left to tie the game. I’m thinking Chicago is bulletproof and is going to win in OT…and then they lose to an NYG opening drive FG and Chase Daniel couldn’t respond. Exciting game. Crushing for the Bears. The whole Trubisky no-start thing, for me, was like the ‘kick a field goal/take the points now’ and then go for the long shot onside kick next. You play to get the NYG win, and then don’t care about the Rams game because you’re more likely to lose regardless. If the Bears had won this game, they would have basically won the NFC North (with MIN losing later in the day) and had some bye potential if they then somehow beat the Rams. Instead, they lose here…and let the Vikings stay in it…now with a tough game with LAR this week, one the Bears might lose and really open the door back to MIN. The Bears are 8-4…two OT losses, one loss by a point to a miracle Rodgers Week 1 and lost to NE by 7…a game they led big and should’ve won. The Bears are really good/borderline great…and the Trubisky injury just cost them a chance to show that. Unless they go in and mop the floor with the Rams, which is possible. If the Bears lose to the Rams, they are in danger of an end of season showdown for the NFC North in Week 17 against the Vikings for the division title. That’s how bad this NYG loss is for Chicago. It could be monumental. We project the Bears finish 10-6/11-5 and win the NFC North and get the #3 seed. The Giants have now won three of their last 4 games. NYG has lost a lot of close games this year…they should be more like a 6-6 wild card hopeful right now. We see a 6-10 finish. -- You know Tarik Cohen is #11 in scoring/PPG among all PPR RBs in 2018 YTD, among RBs with 8 or more games played…right? Did you know he’s ahead of Phillip Lindsay (#12) and David Johnson (#13)? That’s including a terrible start to the season when the Bears offense was stupid for three weeks. Tarik Cohen IS the Bears offense…the only thing that matters. In this game he had 8 carries for 30 yards, threw that game-tying TD pass, and caught 12 passes for 156 yards on 14 targets. The Bears would be dead without him. If they seriously want to win ahead, they would stop with the Jordan Howard (16-76-0, 1-4-0/1) nonsense and go heavy Cohen on every snap…as an RB or WR. He’s still only playing about half the snaps in games. The offense comes to a screeching halt when Howard touches the ball. This offense is not built for him. Howard is going to be a major item traded pre-Draft in 2019. He’s a great RB…but he doesn’t fit here. Cohen, Lindsay, Drake…Kamara – they are the future of the NFL. Smaller RBs who are good/great receivers…RB skills playing WR a lot of the time. Cohen is an RB1 in PPR every week regardless of matchup. No more debate. -- Chase Daniel’s mediocrity hurt Allen Robinson’s (5-79-0/9) fantasy upside but it really hurt Taylor Gabriel’s (3-17-0/7) too…it made everyone hate him/forget about him. When Chicago gets Trubisky back and has to try to take down the Rams Week 14…Allen Robinson will draw Aqib Talib – not good. The Bears have to try to go for the gold with Gabriel v. Marcus Peters…and Gabriel can win that. Gabriel has 5 or more catches in a game in half of his 12 games this season. -- Kyle Lauletta was active this week, for the first time…and was warming up quite a bit pregame according to reports. Had NYG lost to the Bears, I suspect Lauletta would be starting this week. After the Giants lose again, it will likely be Lauletta-time. Lauletta is like a better Nick Mullens. Like a Colt McCoy-type QB, only a little better. A Kirk Cousins upside in a perfect world, maybe. He’s solid. Confident. Somewhat limited and doesn’t know it. Is NFL-worthy but it’s asking a lot for him to step into this offense and do something as a rookie. I assume he’ll enter and lean on OBJ and Barkley, so no real changes to the offense for fantasy expected sight unseen. Expecting a rookie to make use of a tight end is asking a lot as well. So, if Evan Engram is back, in his 15-20 snaps a game he now plays…we have to assume the worst. However, Lauletta is not beholden to OBJ like Eli was. Lauletta is smart…he may go with what works for him to earn this job. He might be OK with Engram…but, now, Engram is losing time working with him due to the hamstring. You want to drop Engram…makes sense. Very small chance EE matters again this season. But if you have a dead spot and are carrying a 2nd TE ‘just in case’, you’d like to see what Lauletta and Engram can do. Lauletta is more from the new school of passers…they don’t lean on one target, they throw to who is open. Lauletta might click with Engram in that way…maybe. We’ll see. 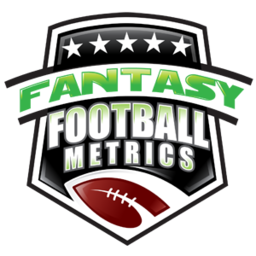 -- Are you using the Bears-DST vs. the Rams Week 14? The #1 defense in the NFL faces the #1 offense. I don’t care what the season stats might rank…it’s #1 vs. #1 to my eyeballs. I don’t think you have to run away screaming at this matchup…after all, the Lions were all over this Rams offense last week, in a dome. What happens with the better-than-Lions-defense Chicago Bears playing the Rams in the very cold for west coasters? I’m usually looking for the easier matchups this week, but I won’t totally disregard the Bears-DST this week. Next week against GB? No fear. I’m good with CHI-DST Week 15. Would like a better matchup but I’ll take a game vs. the bad Packers right now. As I continue to say about NYG in Weeks 14-16…hard to say because Lauletta could happen at any time. Facing WSH-TEN-IND Weeks 14-16 is not ‘favorable’ for the passing game. Solid enough for Barkley. LAR-GB-SF should provide for some fireworks for the Bears passing game Weeks 15-16…IF Trubisky is back, and 100%. Week 14 is a dicey with Aqib Talib back for LAR.